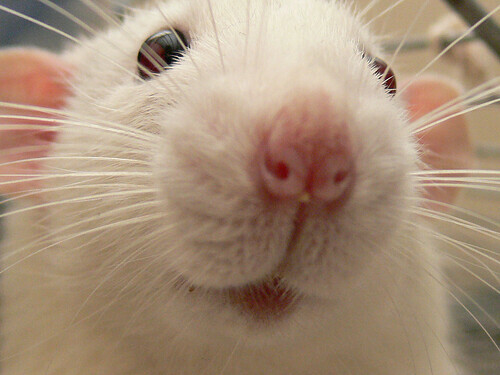 Rats have pretty surprising features. You’ll be shocked to find how similar they are to people in some ways and different in others. You might think of rats and immediately draw upon horrific images of the New York metro system. I used to think there was no way I would be able to interact with one, but I just didn’t understand them. In reality, rats are pretty cuddly animals who have a ton to teach us about how organisms function. I have been conducting research with rodents for the past five years, and I’ve found that they are more similar to us than first meets the eye. So let me tell you about some of their cool (r)attributes. Rats are not as scary as you may think they are. Rats love to snuggle into small dark spaces like the crook of your elbow. 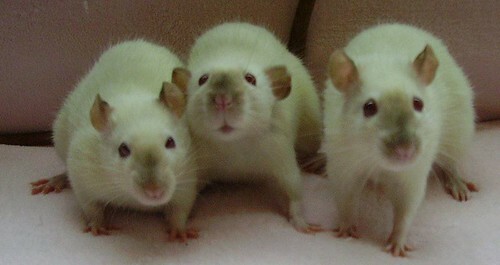 An adult rat will usually choose to be social rather than alone . They sleep next to each other, groom each other, and even work for the opportunity to see a friend. When given the choice between seeing another rat and playing with a new toy, they reliably choose the former . They are also motivated by the sole reward of human contact and even like to be tickled just like people . 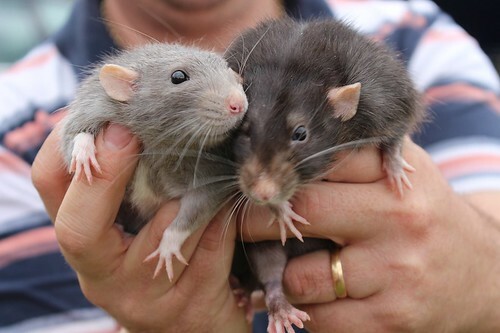 But how do we know that rats really enjoy social interactions? Rats emit a high-pitched sound when they play with each other, associated with happiness . So not only will rats put in effort to see another individual, but they also love a good tickle and provide us with vocalization feedback by which we can observe that they actually are enjoying the social interaction. Ok, so they don’t actually cry blood– but it sure looks like it. Rats have a Harderian gland behind their eyes which secretes a substance called porphyrin during times of stress . It is a red or pink discharge that gives the appearance of a rat crying blood. Usually, a rat will produce small quantities of porphyrin and groom it away. But a stressed rat will not groom as frequently or effectively, so we would see the porphyrin draining into the eyes and nose . When a rat is very stressed and a lot of porphyrin is secreted, a condition known as chromodacryorrhea develops in which the rat appears to be crying blood . Porphyrin is not harmful to the rats, but it is a sign that they are stressed. While humans would usually expel a toxin upon consumption, rats lack the ability to vomit. The first reason we believe they cannot vomit is that their stomach muscles may not be strong enough to force contents back into the esophagus past a strong barrier. A second reason is the structure of a rat’s diaphragm muscles. In order to push anything back up, the rat must be able to contract its diaphragm muscles independently, which there is no indication of it being able to do. Finally, it is thought that rats do not possess the complex neural communication in their brainstems to coordinate such muscular accomplishments as vomiting . Rats have adapted other approaches to avoid harm from something they have ingested. By way of pica, the eating of non-food items, rats can eat clay after consuming a toxin so that it will bind to the clay for excretion out of their system . Their bodies are not set up to vomit but rats are smart enough to find alternative mechanisms to reduce the detrimental effects of an ingested toxin. Rodent anatomy is very similar to human anatomy, and that is one of the many reasons that they are such great model organisms for medical research. There is a lot of congruent structure, signaling, and function between rodent and human neural activity, so people like me study rodent brains with the hopes of applying those findings to treatments for humans with diseases. They are also smarter than we give them credit for and can figure out pretty complex behavioral tasks. Sometimes people forget that humans are animals just like rats and we have a lot to learn from each other. Anne’s Rat Page. 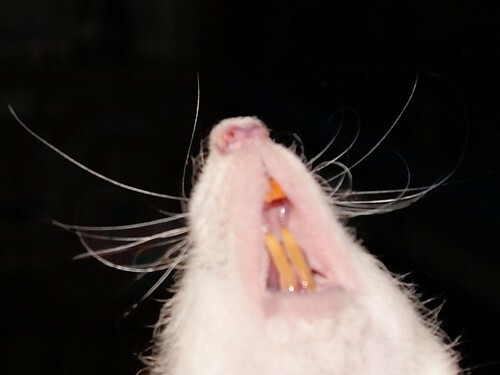 2004. http://www.ratbehavior.org/Teeth.htm. Anne’s Rat Page. 2004. http://www.ratbehavior.org/vomit.htm. Barnett, S. A. 1963. “The rat: A study in behavior.” University of Chicago Press. Buzzell, G. R. 1996. “The harderian gland: Perspectives.” Microscopy Research and Technique. 34, 2-5. Charles River Laboratories. 2011. “Handbook of Clinical Signs in Rodents and Rabbits.” 79, 1-136. Davis, Hank. and Rachelle Pérusse. 1998. “Human-based social interaction can reward a rat’s behavior.” Animal Learning and Behavior. 16, no. 1, 89-92. Johnson, S. R., Ratterson-Kane, E. G., and Niel, L. 2004. Foraging enrichment for laboratory rats. Animal Welfare. 13, 305-312. Mason, G., Wilson, D., Hampton, C., and Wurbel, H. 2004. “Non-invasively assessing disturbance and stress in laboratory rats by scoring chromodacryorrhoea.” Alternatives to laboratory Animals. 32, 153-159. Patterson-Kane, E. G., Hunt, M., and Harper, D. 2002. Rats Demand Social Contact. Animal Welfare. 11, 327-332. Vanderschuren, L., Niesink, R. J. M., and VanRee, J. M. 1997. “The neurobiology of social play behavior in rats.” Neuroscience and Biobehavioral Reviews. 21, 309-326, doi:10.1016/s0149-7634(96)00020-6.